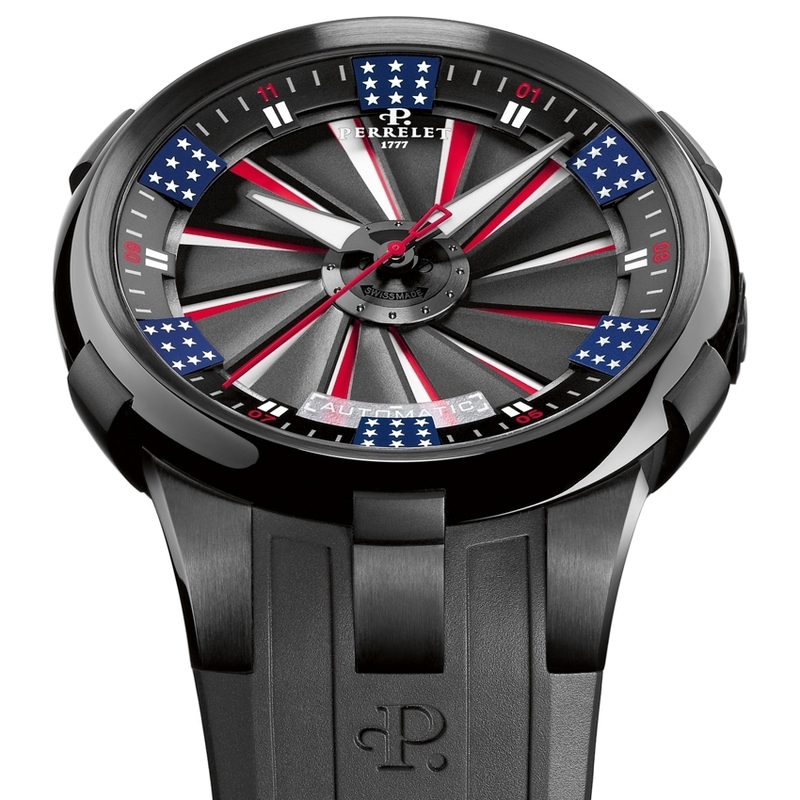 The star-spangled banner takes pride of place as Perrelet celebrates the American Spirit, with the Turbine XL America. Comic-strip heroes in stars-and-stripes costumes join pin-ups with skirts flying, but the starring role goes to Perrelet's famous Turbine. 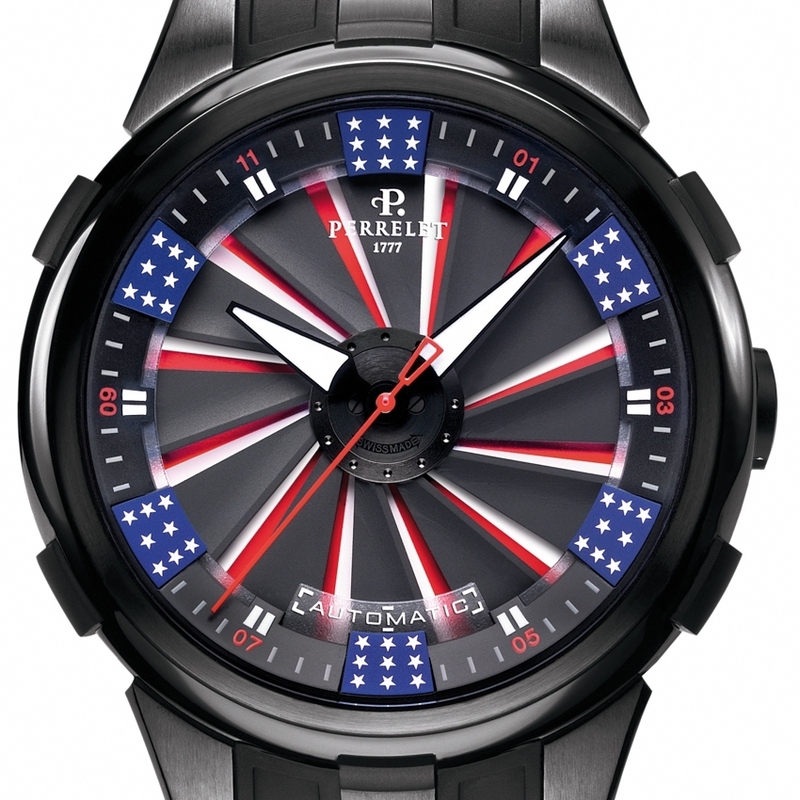 The double rotor, transformed into a 12-blade wheel, spins above the red and white stripes painted on the dial. Make it twirl faster or slower, and watch as the colours produce random effects, never the same twice! The American flag makes its mark again in the 50 stars, representing 50 states, on the blue squares that double as hourmarkers. 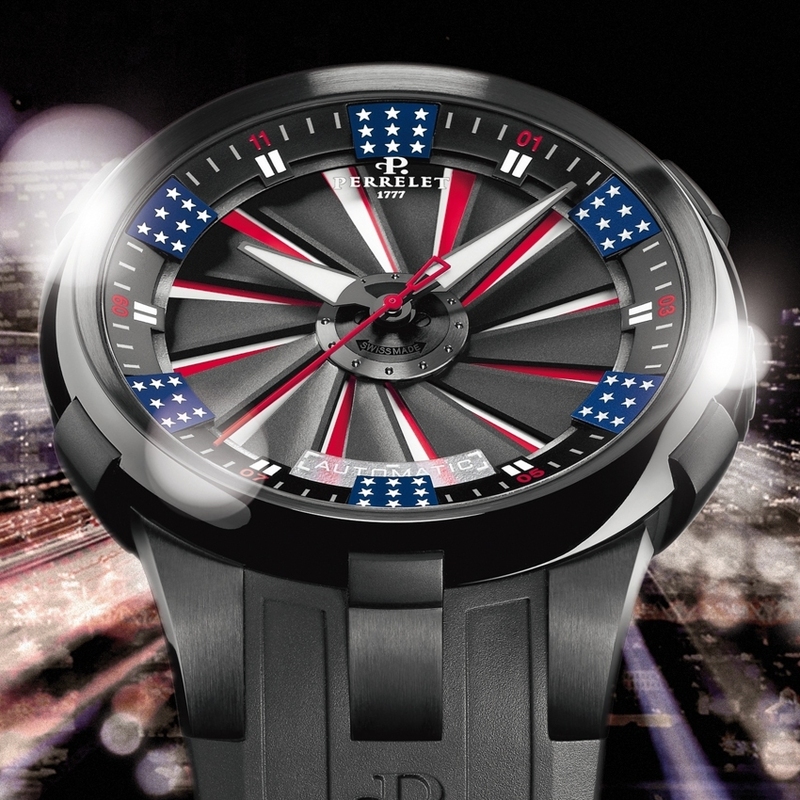 An all-American 777-piece limited series.